You and I use a lot of energy. Every second of each day and night we devour 100 times more energy than we need to live. If I were to eat that much energy as food, I would be a 50-foot long bull sperm whale, weighing 40 tons. There are 300,000 sperm whales worldwide, half of them bulls (females are much smaller), and 300,000,000 Americans (females are about the same in size). Our Earth cannot feed and protect 300,000,000 male sperm whales. She is simply too small. Our voracious appetite for energy must be either extinguished or quenched with local sources of energy (and, no, wind turbines and PV cells are too small to provide even single ample energy meal per day). 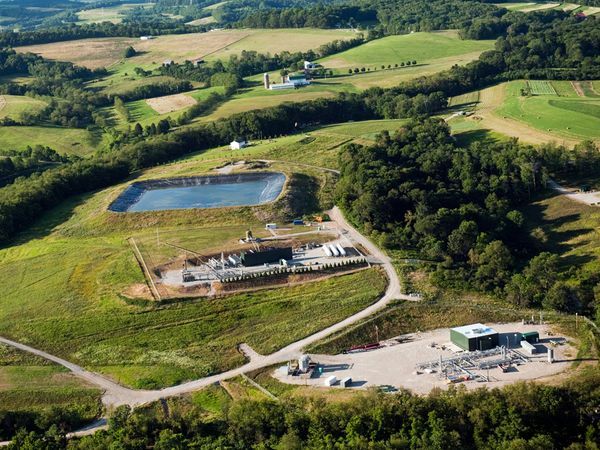 So here are some of the choices we have: We can drill and hydrofracture deep gas wells, and produce natural gas closer to where we live, or we can go after coal leftovers. We can also opt not to use fossil fuels and live differently, more Amish-like. For example, we can opt to live in the well-insulated houses that are 400 square feet, not in cheap, drafty, 4,000 square foot Mac-Mansions. We can opt to eat 2,000 kilo calories per day from vegetables and fruit, not from meat and processed food-like edible substances. We can opt to heat our shower water with the sun, not electricity or natural gas. We can opt to drive a bicycle, motorcycle or a tiny car, not a monster truck or SUV. We can opt to turn down our heaters, and not use air conditioners. We can opt to recycle aluminum and plastic bottles, instead of tossing them mindlessly into trash bins. But most of us cannot opt to live and shop two miles from home. Most of us cannot opt to use light rail, metro, or train to get to where we want. In short, it will be quite difficult to live Amish-style in Manhattan or Philadelphia. 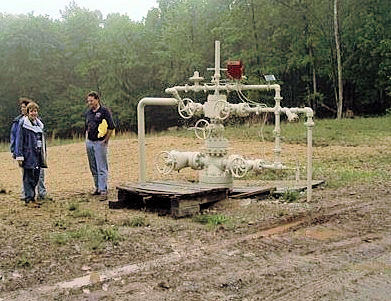 Short of becoming neo-Amish people, here is how it looks when they drill a natural gas well in your neighborhood. The owner of the house behind the pit claimed that his water well got polluted by the drilling, but he never measured water composition in his well. This is how this well might look later on, after the drilling equipment is gone. And this is how your neighborhood might look like when they blow it up to recover coal from mountaintops. In which of these two neighborhoods would you rather live? 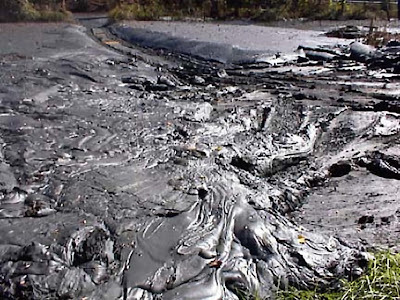 "The surface of the State had been demolished by men and machinery and explosives in order to yield up its coal. The coal is mostly gone now. It had been turned into heat. 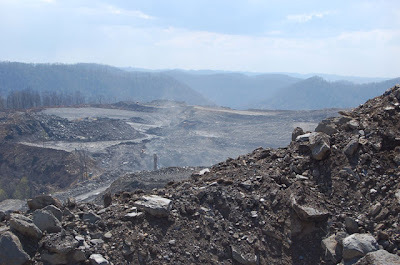 The surface of West Virginia, with its coal and trees and topsoil gone, was rearranging what was left of itself in conformity with the laws of gravity. It was collapsing into all the holes which had been dug into it. Its mountains, which once found it easy to stand by themselves, were sliding into valleys now. 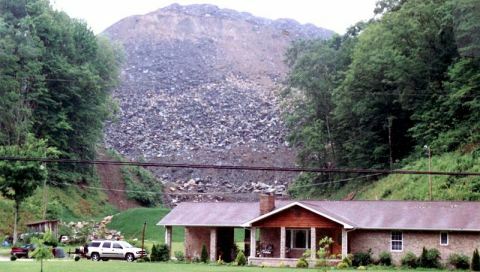 The demolition of West Virginia had taken place with the approval of the executive, legislative and judicial branches of the State Government, which drew their power from the people. Here and there an inhabited dwelling still stood." There are only 190 miles from Philadelphia in Pennsylvania to Morgantown in West Virginia, but the ravaged mountaintops in West Virginia may as well be on the moon. 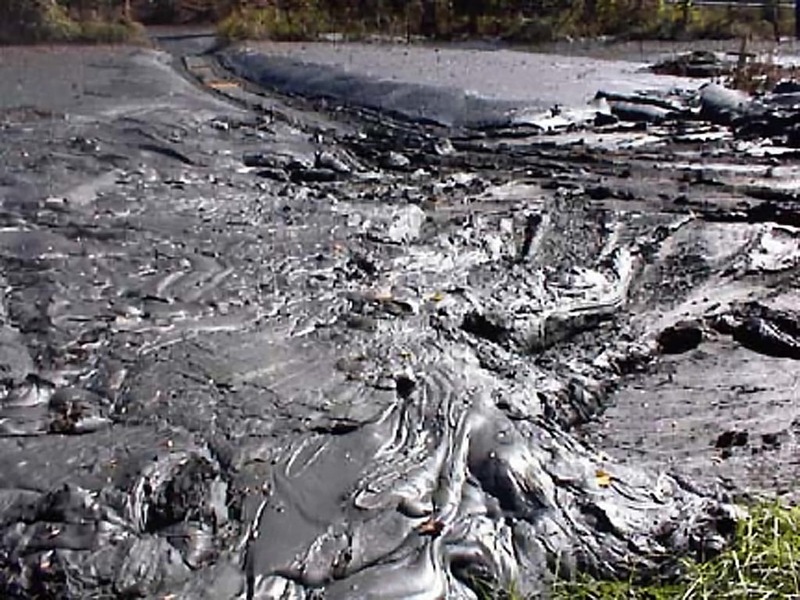 Once we burn the coal obtained from blowing up one neighborhood, we may then flood another one with coal ash sludge. Natural gas does not do such things. By the way, did I mention Kentucky? It is a bit of juggling game this process of extracting thermal coal and metallurgical coal from underground mines to ensure enough electricity and steel capacity worldwide while making sure the impact on the environment and people is minimal.